Four County Career Center is pleased to announce Tim Knapp from Hilltop High School as Student of the Month. Tim is the son of Tim Knapp and Misty Knapp and is a senior in the Electrical program at the Career Center. Tim was nominated by Job & Placement Coordinator, Ellie Cichocki. He is a member of Skills USA and is on the Career Center Honor Roll. 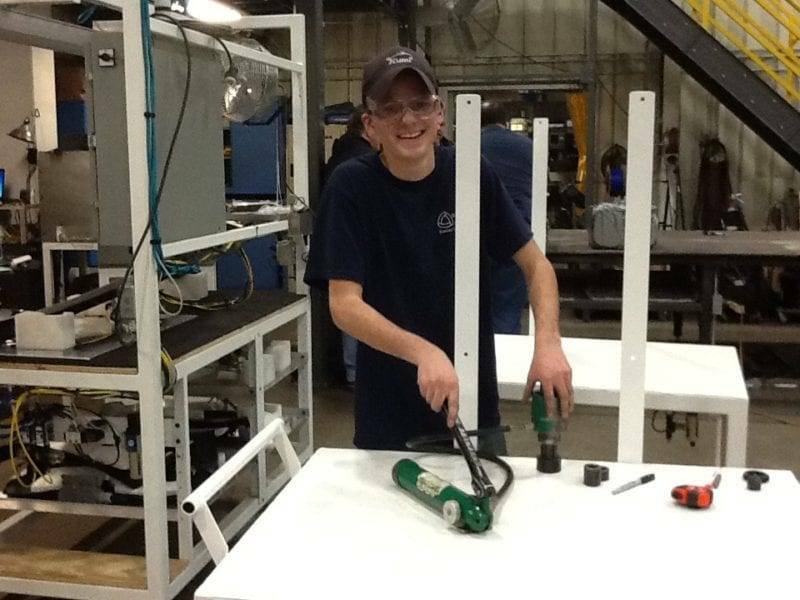 Tim is also part of the Early Job Placement program and receives class credit for working at Kamco in West Unity. After Tim graduates, he plans on attending Northwest State Community College and obtain his Journeyman’s License in electrical. Students who achieve this recognition throughout the 2015-2016 school year are honored with a certificate of recognition. Be the first to comment on "Hilltop Student Named As Student Of The Month At Four County"